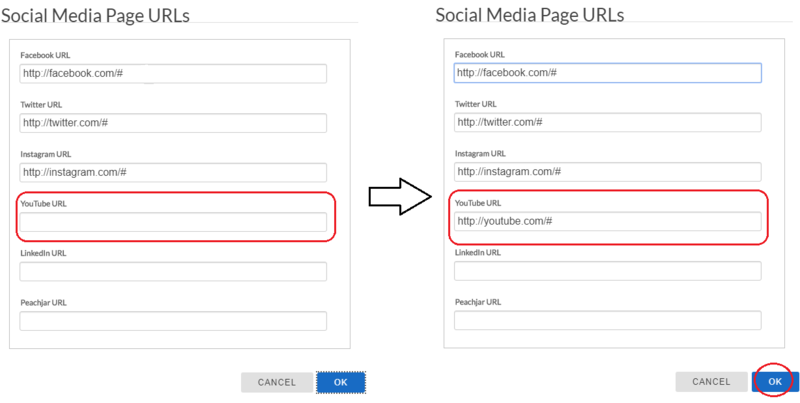 The following steps will guide the user in adding social media icons on a page. 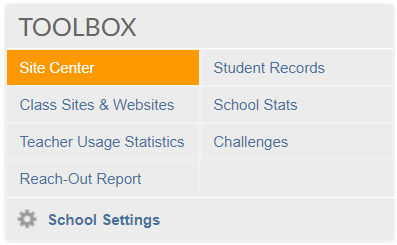 Go to the Site Center (district admins may access all Site Centers from the Admin Center). Click to select the Homepage in the site map, then click the Edit button. Click the Header and Footer option in the menu on the left. Select the Social Media module in the header by clicking once. In the popup window, add the URLs for the social media outlets you use. In this example, type in the URL "http://youtube.com/#" to add YouTube. The added social media icon (e.g. YouTube) can now be seen on the page.